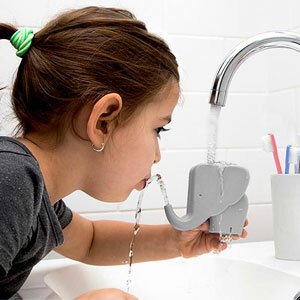 This lovable little elephant calf – born with plastic skin, no tusks and a crippling growth deficiency, has been rescued from a travelling circus and brought here to store and cleanse your sink-side utensils. 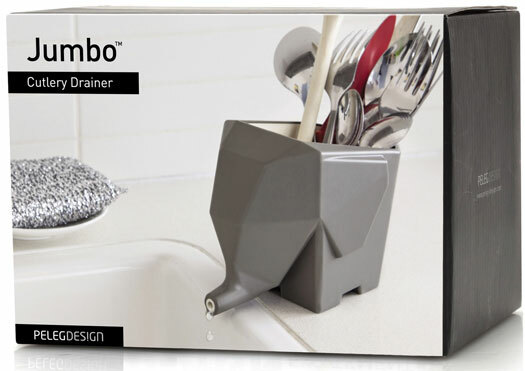 Very few animals show empathy, but the Jumbo Cutlery Drainer knows that washing up is a right chore, and that undoing all your hard work by leaving spotless silverware festering in a mucky jar is just madness. 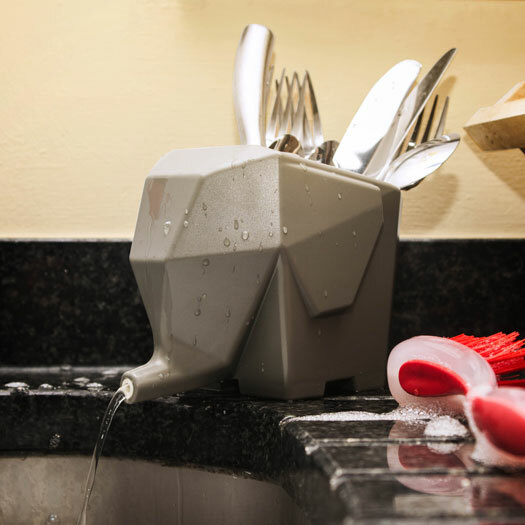 So pop your freshly-rinsed cutlery in his spacious body and any surplus water will flow down his trunk back into the sink, leaving your knives and forks looking nice and sparkly. He also makes a great toothbrush holder, happily draining away all that mint-scented nastiness. 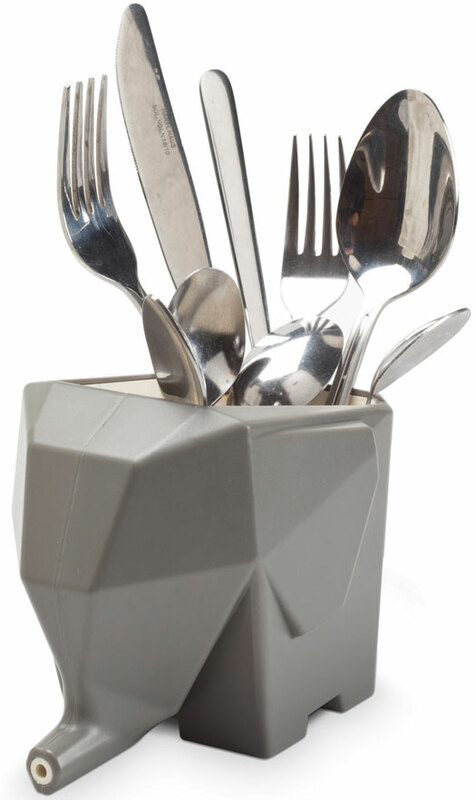 He never forgets either, so make sure you give those plates a proper scrub – don't just wipe that Jalfrezi off with the drying-up cloth, you filthy animal. Tusk tusk. Ich liebe diesen Bestekkorb Jumbo! !